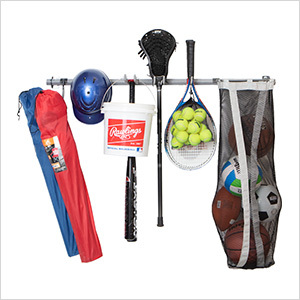 This Sports Rack has a large bag that will hold 8-10 basketballs, footballs, soccer balls, and volleyballs. 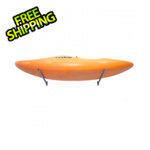 The large sports bag is open on the top and has two folds to easily grab the balls from the bag. 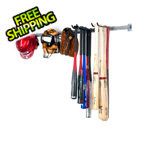 The great variety of hooks will hold golf bags, a bike, tennis rackets, hockey and lacrosse sticks, helmets, and pads. This sports organizer can even hold one adult size bike.